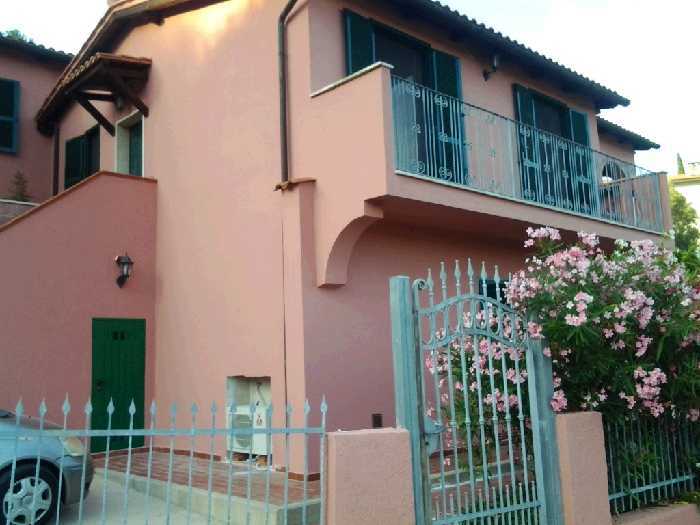 RIO MARINA: in a panoramic position, detached villa on two levels, of about 250 square meters, internally composed of: ground floor living room with kitchenette, bedroom and bathroom, terrace and parking. Upstairs: living room, kitchen, three bedrooms and three bathrooms. Terrace overlooking the sea. The burying property is surrounded by about 4,000 square meters of surrounding land. Attached to the garage property pertaining to about 30 square meters. Thanks to its features the 'object in question lends itself to become both a first home to live throughout the annual period, is a summer residence suitable to spend relaxing moments. * Antispam: what is 2 and 1 ?